We first wrote about Take Your Child to a Bookstore Day back in 2011 when Olive was four. We’re excited to learn founder Jenny Milchman is testing out something new to further literacy and get books into the hands of more kids. Take Your Child to a Bookstore Day is traditionally celebrated on the first Saturday of December (this year, Dec. 5, 2015), but for the first time, Jenny is extending the event to include a field trip for young children in Johnstown, NY. Through the help of generous donors, the expertise of fellow author and grant writer Dan Barrett, and an elementary school teacher, Heidi Sprouse, who took to the streets to drum up support, a rural community in New York will be able to send 36 pre-K students to their town’s local bookstore on Jan. 15. Each child will be given a book–in some cases, the first the child has ever owned– take part in a youth writers’ workshop, and share the excitement of the day over pizza with classmates and teachers. If this pilot day is successful, Jenny hopes similar programs can be introduced in at-risk towns and cities nationwide. Take Your Child to a Bookstore Day is all about introducing children to the pleasures of time spent in a bookstore, helping them to become supporters of their local economies at an early age and cultivating a lifetime love of reading. But not all children are able to experience these joys–with one in five kids in the U.S. food insecure, owning a book can be an unheard of luxury. Jenny’s dream is to make TYCBD a day in which every child can take part. Find out more at takeyourchildtoabookstore.org. 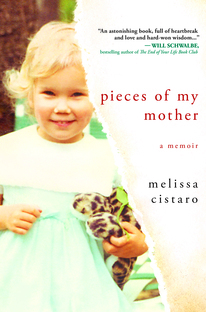 We first met Melissa Cistaro when she pitched her book to us at a Pitchapalooza we did for Book Passage (one of America’s great bookstores) in Corte Madera, California. We’ve been doing this so long we can usually tell when someone has a book in them and is capable of getting it out successfully. And we knew Melissa had the right stuff as soon as she opened her mouth. Arielle then made a suggestion to Melissa that she calls perhaps her greatest move as a Book Doctor: she told Melissa that she should get a job working at Book Passage. This is what separates the doers from the talkers. Melissa actually did it; she got a job at Book Passage. Eventually she became the person who introduces authors when they do events at Book Passage. Some of the greatest authors in the world come through that bookstore. Now Melissa gets to move from being the person who presents authors to the author being presented. So we thought we would pick her brain to see how she did it. To read this interview on the Huffington Post, click here. The Book Doctors: How did you get started as a writer? Melissa Cistaro: This may sound odd, but I think that becoming a mother is what turned me into a writer. Even in college, I still considered writing one of my greatest weaknesses. But when I saw my own child for the first time, I knew I had to figure out how to tell the stories that had been hiding inside of me for so long. 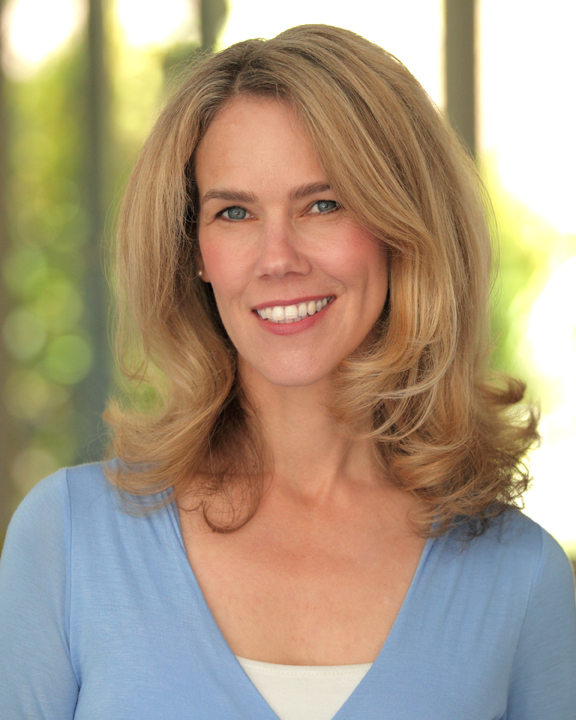 I started taking classes at UCLA Extension, and it was there that I caught a glimpse of my writing voice–and after that, I couldn’t stop writing. I’ve always believed that motherhood opened a portal inside of me that gave me permission to write. If I hadn’t become a mother, I don’t know that I would have become a writer. TBD: What are some of your favorite books and why? MC: In the house I grew up in, we rarely had access to books. I was not a child who discovered books early–they came late for me, and when they did, I had a lot of catching up to do. One of the first books to completely mesmerize me was Arundhati Roy’s The God of Small Things. The language was magical and the story deep, evocative and riveting. I am often pulled into stories through language. Fugitive Pieces is another book that I drew me in with its incredible poetic narrative. Divisadero by Michael Ondaatje and a short story collection by John Murray called A Few Short Notes on Tropical Butterflies. Oh this is hard! I could go on and on with favorite books. TBD: What made you decide to write a memoir? TBD: How has your family reacted to seeing themselves in print? MC: The book was very difficult to hand to my father. There were many facets of our childhood that he wasn’t aware of–and it was definitely emotional for him to take in our story on paper. He has been exceptionally supportive of the book and, ultimately, a proud father. My brothers also have been generous and supportive. Naturally, there were some details that we recalled in different ways, and we have since had some great conversations about our childhood. TBD: You attended a number of writing programs, do you recommend this? What are some of the benefits and liabilities? MC: Classes and workshops were crucial along the way, as was being in a writing group. But I eventually got to a place in the process where outside input began to stifle me as a writer. The feedback was always helpful, but I also had to take responsibility for what I ultimately wanted to write. If there are too many voices and opinions, it can get overwhelming. I’ve become less fond of workshopping and more of a fan of having a few select and trusted readers. TBD: Which helped you more as a writer, being an equestrian or a mom? MC: Whoa–this is an interesting question. I don’t know if I’ve ever considered how riding has informed my writing. Communicating with an animal requires a great deal of paying attention and observing, and I think that certainly translates into the writing process. I once had to throw myself off of a horse that was running at full speed back towards the barn. I could see the low awning of the barn ahead, and I knew I had lost control of the horse. I didn’t want to end up trapped under the awning or thrown dangerously sideways–so I made a decision to pull my feet out of the stirrups and make a flying dismount. I skidded and tumbled across the hard summer dirt, landing safely (and sorely) between two spindly birch trees. I think, whether we are parenting or writing or on a runaway horse, we have to make big decisions and sometimes we don’t know precisely what the outcome will be. TBD: Did working at a bookstore help you as a writer? MC: Absolutely. If you love books as much as I do and you want to surround yourself with likeminded people, go work in an independent bookstore. Bookstores are magical places. You get to meet authors and discover new books all the time. I also learned how sometimes great books thrive and other equally beautiful books can sometimes wither on the shelf. I quickly gleaned how subjective the world of books can be. This armored me with very humble and realistic expectations as I entered the publishing arena with my own book. I had a completed draft of my memoir when I started working at Book Passage, and I decided to put it in the proverbial drawer for a year so that I could focus on other books and writers. This turned out to be a great plan. Two years later, I met my agent during an event I was hosting. TBD: You’ve now seen hundreds of authors do events as event coordinator at one of the great bookstores in America, Book Passage. What mistakes do you see writers make? What do you see successful writers do to help themselves? MC: I have a wonderful job at Book Passage. I introduce authors, host their events and read their books. I find that, for the most part, authors are truly grateful and gracious when they come to Book Passage. I learn something new at every event I host. I take a lot of notes. We always appreciate when an author stands up and thanks independent bookstores for the hard work they do, because we certainly don’t do this work for the money (which is essentially minimum wage). We do this work because we love working in the landscape of books, ideas and creative minds. TBD: What did you learn about finding an agent and publisher that you think unpublished writers would like to know? MC: Finding that one agent who falls in love with your work takes a lot of time, patience and perseverance. Expect a lot of rejection. Grow extremely thick skin. And keep writing what you are passionate about. When you find that agent, he or she will help get your manuscript to the right publisher. TBD: What was the most frustrating part of the publishing process from idea through publication for you? MC: The publishing process is full of surprises, and I had to carry my publishing “Bible” with me everywhere. (That would be your book!). There are so many things you can learn in advance about how publishing works and all the ins-and-outs of contracts, deals, agents, etc. It was a tremendous and challenging education going through the publishing process. The landscape is changing so fast that it’s important to keep informed. TBD: How can writers best use their local bookstore to help them in their career? I love meeting writers at Book Passage, and I appreciate when they tell me they are a writer because I know how challenging this path is. I also know that one day they may come in and tell me that their book is being published–and guess who is going to make sure that they get a reading at Book Passage? MC: If there is a story you need to tell, you must do it. You must keep writing and writing until you are both empty and full. No story is too small for this world. Melissa Cistaro‘s stories have been published in numerous literary journals, including the New Ohio Review, Anderbo.com, and Brevity as well as the anthologies Cherished and Love and Profanity. She works as a bookseller and event coordinator at Book Passage, the esteemed independent bookstore in Northern California. Between the years of raising her children, writing, bookselling, teaching horseback riding, and curating a business in equestrian antiques – Melissa completed her first memoir, Pieces of My Mother. Arielle Eckstut and David Henry Sterry are co-founders of The Book Doctors, a company that has helped countless authors get their books published. They are also co-authors of The Essential Guide to Getting Your Book Published: How To Write It, Sell It, and Market It… Successfully (Workman, June 2015). They are also book editors, and between them they have authored 25 books, and appeared on National Public Radio, the London Times, and the front cover of the Sunday New York Times Book Review. The Book Doctors first met Andy Ross at Cody’s Books, which was one of the most influential bookstores on the West Coast, smack dab in the middle of Telegraph Avenue in book-crazy Berkeley, California. In fact David did his first professional book reading at Cody when his first memoir Chicken came out. Andy’s now an agent, and we thought we’d check in with him about how he views the book business from behind a desk dealing with writers rather than behind a cash register dealing with readers. To read on the Huffington Post click here. The Book Doctors: How did you get started in the ridiculous book business? Andy Ross: I got into it for ridiculous reasons. I was in graduate school studying German Intellectual History at the University of Oregon. I was unhappy. I didn’t understand Kant’s Critique of Pure Reason, my girlfriend left me and joined a hippy free love commune, and it rained a lot. I decided I needed a change and I liked bookstores. These were/are not good reasons to set one’s path for the rest of his/my life, but still…. That was 40 years ago, and here I am today. TBD: What did you learn about the book business in your time owning Berkeley’s iconic Cody’s Books? AR: That would be a very long list. I owned it for 30 years. What strikes me now is all the things I didn’t learn. A bookstore is the end of the literary food chain. By the time I opened the shipment box from the publisher, the books had been written, edited, designed, printed, marketed, and shipped. I only did one thing, but a pretty important thing: I put it into the hands of the book lover. TBD: How has becoming an agent changed your view of writers, writing, and the publishing industry? AR: Otto von Bismarck is reputed to have said: “Laws are like sausages. It is better not to see them being made.” I think the creative process is like that too. It’s pretty messy. But also pretty miraculous, when I see the transformation from a train wreck of a first draft into a masterpiece. TBD: How has the book business changed since you started, for better and for worse? AR: I first opened a small store in Sonoma County, California in 1972. It was 600 square feet, about as big as my living room. My first day, my sales were $32. Remember the counter culture? We sold a lot of books, mostly paperbacks, on humanistic psychology, eastern mysticism, and other things spiritual. Fritz Perls, Abraham Maslow, Alan Watts, The Urantia Book, Be Here Now, and Cutting Through Spiritual Materialism were some of my best selling books and authors back then. I made a lot of money on the I Ching (Princeton University Press edition). And, of course, all things having to do with the ever mysterious, Carlos Castañeda. The big topic of conversation was whether Casteñnada really existed – although much later he married a friend of mine. She said he was a rat. But the business still had its share of schock at the top of the lists. It was no worse than it is now. TBD: What mistakes do you see writers make? What things do you see successful writers do? AR: Let’s talk about mistakes in writing fiction. What I see from inexperienced writers is not knowing when the story starts. Too much literary throat clearing, usually in the form of “prologues.” The use and misuse of adverbs. My advice to the writers is: “get rid of all of them.” (Andy said authoritatively.) Using too many metaphorical figures of speech is a sign of insecurity in an inexperienced writer. To paraphrase Freud, sometimes a green tree is a green tree. TBD: What are your pet peeves about writers and their submissions? AR: We don’t have enough time for this, but here are just a few things: In your query letter, don’t say “this is a fiction novel” and really don’t say “this is a non-fiction novel.” Don’t mention Eat, Pray, Love; Malcolm Gladwell; or Oprah in the query letter or book proposal. Be honest and transparent to your agent, and I will be/do the same with you/the publisher. I don’t know what your advance will be. If any agent tells you: “I can get you a 6 figure deal” or “this book has Hollywood written all over it,” best to find a different agent. TBD: Tell us about the Slush Pile Derby? AR: I made a bet with somebody that anyone could see talent right away, even if you couldn’t explain it. So I took 10 first paragraphs from my slush pile. None of them were horrible. Some of them I decided to represent based on that first paragraph. They were subsequently published. When I do the slush pile derby at writers conferences, pretty much everyone can identify the books that got my attention. TBD: Do you google potential clients? How much attention do you pay to the platform? AR: I like to say that platform means one of two things: Either you have an endowed chair at Harvard or you are sleeping with Oprah’s hairdresser. Platform is almost essential in non-fiction. But with fiction, it’s usually about the story and the style. Andy Ross was the owner of the Legendary Cody’s Books in Berkeley from 1977-2007. In 2008 he started the Andy Ross Literary Agency. Andy represents books in a wide range of genres including: narrative non-fiction, journalism, history, current events, literary and commercial fiction, and teen fiction. Andy has a popular blog, “Ask the Agent,” where he talks about writing, and book publishing and reminisces about his life as a bookseller. You can find Andy’s website at www.andyrossagency.com. To All Authors: Support Your Independent Bookstore with Indie First!!! Hello, hello, you gorgeous book nerds,Now is the time to be a superhero for independent bookstores. I want all of us (you and you and especially you) to spend an amazing day hand-selling books at your local independent bookstore on Small Business Saturday (that’s the Saturday after Thanksgiving, November 30 this year, so you know it’s a huge weekend for everyone who, you know, wants to make a living). Here’s the plan: We book nerds will become booksellers. We will make recommendations. We will practice nepotism and urge readers to buy multiple copies of our friends’ books. Maybe you’ll sign and sell books of your own in the process. I think the collective results could be mind-boggling (maybe even world-changing). I was a bookseller-for-a-day at Seattle’s Queen Anne Book Company when it reopened this past April. Janis Segress, one of the new co-owners, came up with this brilliant idea. What could be better than spending a day hanging out in your favorite hometown indie, hand- selling books you love to people who will love them too and signing a stack of your own? Why not give it a try? Let’s call it Indies First. Grassroots is my favorite kind of movement, and anyway there’s not a lot of work involved in this one. Just pick a bookstore, talk to the owner (or answer the phone when they call you) and reach an agreement about how to spend your time that day. You’d also need to agree to place that store’s buy button in a prominent place on your website, above the Amazon button if you have one. After all, this is Indies First, not Indies Only, and it’s designed to include Indies in our world but not to exclude anyone else. This is a great way to fight for independents—one that will actually help them. It’ll help you as well; the Indies I’ve talked to have told me that last year Small Business Saturday was one of their biggest days of the year, in some cases the biggest after the Saturday before Christmas—and that means your books will get a huge boost, wherever you choose to be. The most important thing is that we’ll all be helping Independent bookstores, and God knows they’ve helped us over the years. So join the Indie First Movement and help your favorite independent bookstore. Help all indie bookstores. Reach out to them and join the movement. Indies First! To but a copy of The Essenetial Guide to Getting Your Book Published, go to your nearest Indy, or to buy online, click here.